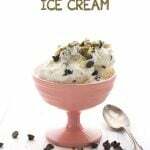 Whether you call it low carb hot fudge sauce or low carb chocolate sauce, this easy sugar-free ice cream topping is insanely delicious! And it only takes 4 ingredients to make. 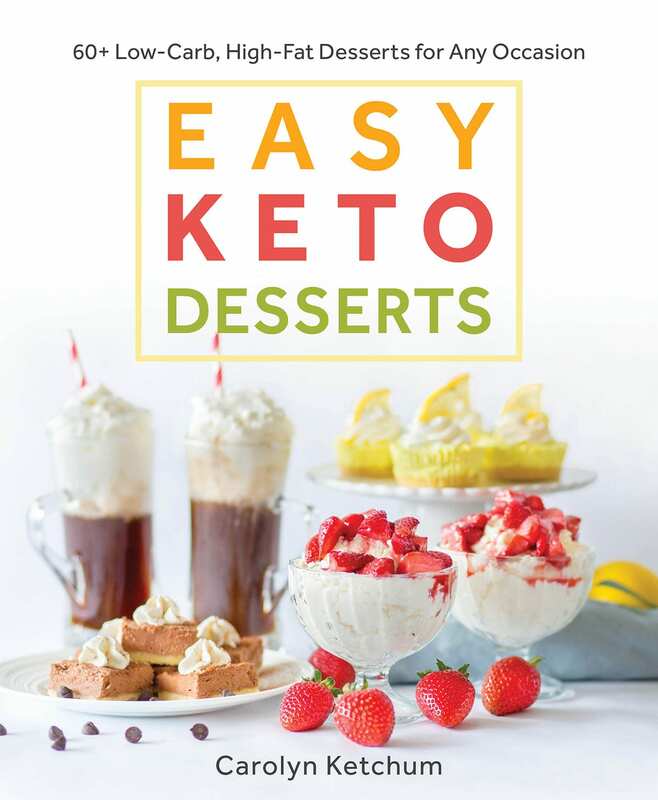 Pour it over your favourite keto ice cream recipe. Updated with a how-to video. Here we are in the dead of winter and I am craving ice cream. Granted, it’s not as cold in Portland as it was in Boston; it typically stays well above freezing and is often in the mid-40s by the middle of the day. But it’s still not exactly ice cream weather. It’s often rainy and windy and that damp chill gets into your bones and makes you wish you were home by the fire sipping a hot drink. So that doesn’t account for my strange cravings for the creamy cold stuff. And no, I am not pregnant. I’ve got my three and am thoroughly overwhelmed as it is, so don’t even go there! So what the heck is up with me? Well, the way I see it, the source of my sudden passion for ice cream is two-fold. First of all, I came across a larger ice cream maker at a second-hand store the other day for a fraction of the normal cost. It looked virtually brand new and I made sure the store had tested it to see if it worked. I snapped it up and brought it home and now the freezer canister is in the freezer, waiting for me to really give it a test drive. Thrift store and second hand store shopping is big in Portland and I love it. I usually pop in to look for interesting props for my food photography, but when I come across a find like that, I just have to jump at it. I may give away my old, smaller ice cream maker…or I may keep them both, who knows? (My husband is NOT a fan of that idea, but we shall see). The other, more significant factor in my desire for ice cream is that I have developed a gorgeous recipe for low carb hot fudge sauce. It really is gorgeous…thick and velvety and chocolatey, and it pours over that ice cream, melting it just slightly as it goes, making delicious creamy, chocolatey puddles in the bottom of your bowl. Have I convinced you yet that you need to make this? You really, really do. And the best part is that you can adapt it in so many ways for interesting flavors. Consider mint extract instead of vanilla. Or orange extract! Or coffee, or raspberry, or caramel, or…oh, oh, the possibilities are endless. Can you see why I am craving ice cream? I also wanted to give a little shout-out to a new low carb ice cream I recently discovered called Halo Top. Although I prefer to make my own ice cream most of the time, it’s something that requires a little forethought. You have to make the custard and cool the custard and make sure your ice cream canister is frozen and ready to go. But when those ice cream cravings hit, you aren’t always prepared that way. Halo Top is a nice change from most low carb ice cream products because it’s mostly sweetened with erythritol, not sucralose (it does have a little cane sugar too). A serving is 12 g of carbs, 4 of which are fiber and 4 of which are erythritol, so the net carb count comes in at a nice 4 g. That’s definitely doable for me in a pinch! And with a good dollop of my low carb chocolate sauce, it’s pure low carb dessert heaven. 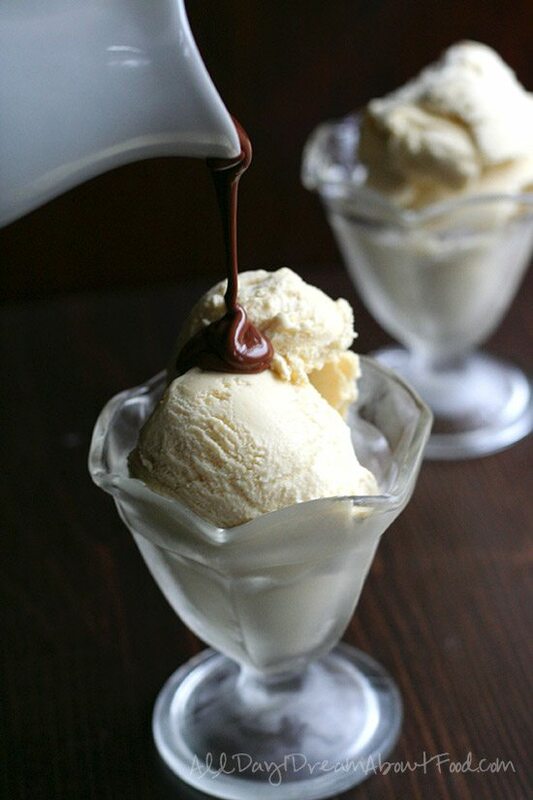 This low carb sugar-free hot fudge sauce is so good, you will want to eat it with a spoon. Enough said. In a medium saucepan over medium heat, whisk together whipping cream and sweetener until combined. Bring to a simmer and remove from heat. 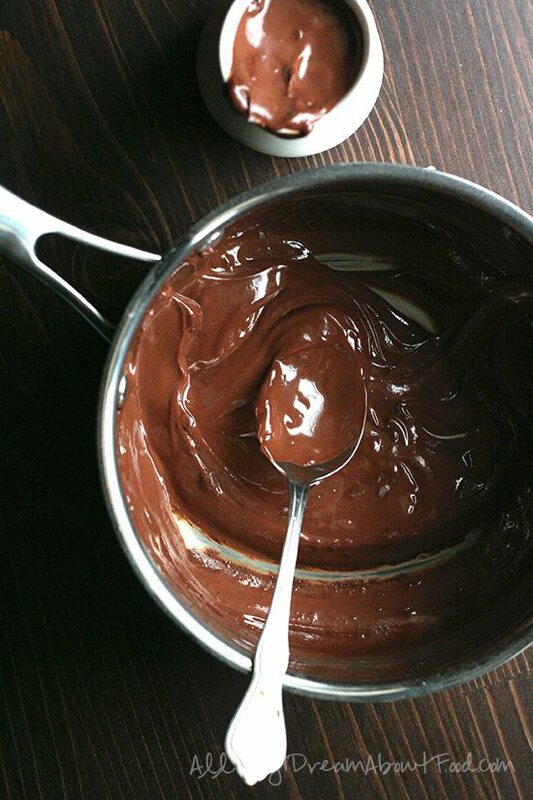 Add chopped chocolate and let sit 5 minutes, until chocolate is completely melted. Add vanilla extract and whisk until smooth. Drizzle over your favorite low carb ice cream or use as chocolate fondue. Serves 8 (2 tbsp per serving). Each serving has 3.7 g of carbs and 1.47 g of fiber. Total NET CARBS = 1.23 g.
Great photos, and this sounds amazing. This recipe couldn’t be any simpler–makes me wonder why I couldn’t have thought of it! You constantly amaze me. I can’t wait to make this and spoon it over my plain Fage tonight. I have semi-sweet choc chips left over from Christmas baking for my non-carb husband. I’m guessing I can make him some fudge sauce for his ice cream by using those and reducing the added sweetener/sugar. He’ll love it. I am sure the semi sweet chocolate will work, since I developed this recipe based off of some regular carb recipes! What brand of unsweetened chocolate do you normally use? 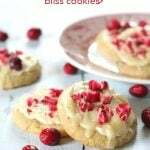 I have some whipping cream that I need to use up – perfect! What a simple and excellent recipe! Does it taste like milk or dark chocolate? Thanks! More like dark chocolate. Truly like hot fudge sauce. I made this tonight and followed the recipe exactly. My sauce is not nearly as dark or as thick as yours. It’s the color of milk chocolate and is thin enough to drizzle through a bottle with a small hole. I used Scharffen Berger 70% dark chunks. Any ideas why mine is not thick and dark like yours? Well, given that 70% chocolate is not the same as 100% unsweetened chocolate, I’d say that’s probably the culprit. Remember that anything that is not 100% cacao is going to have fillers and other things that change its consistency and its behaviour when melted. Ah, Carolyn, thank you! I did not see that you used unsweetened chocolate. How dumb of me! So, I did not follow the recipe exactly, after all! I think I will melt some unsweetened chocolate and add it to it and I think I’ll like the taste better, too, as it’s a little too sweet for me, as it is, also. Thank you for kindly pointing out my mistake, Carolyn. Once again, I appreciate you so much! You can always add some cocoa powder to thicken it, that might offset the runniness and lightness. Make sure to sift your cocoa powder first, so it doesn’t clump in the sauce. Im having the same issue with runniness but i used 100% unsweetened chocoalte. Ideas? I guess the brand could be an issue but I’ve made this with a few different brands and it always thickens up. What sweetener are you using? I had the same issue. I used 90% lindt chocolate. Mine was runny like milk and grey…. Right, and that’s because you did not use unsweetened chocolate, as directed in the recipe. The best way I can explain it is…unsweetened chocolate, being pure cacao, has more fiber and so makes a thicker (and more chocolatey) sauce. Hi Carolyn. Nice, simple recipe. Just what I like. I will be interested to hear about the ice cream maker….Several years ago, I found two new Krups machines in a thrift store..bigger than my current Cuisinart. I froze the canister in our deep freezer for days but it never really completely made ice cream but milk shake consistency. I had friends that had a small farm who had a Kitchen Aid canister who had the same problem. They left the canister in the freezer (I do that, as well), so lack of freezer time was not the issue. I donated the machine back to the thrift store. It seems that this problem has been solved since my IC21 makes perfect ice cream so it may depend on when your machine was made. I could just drink this! Amazing!!! 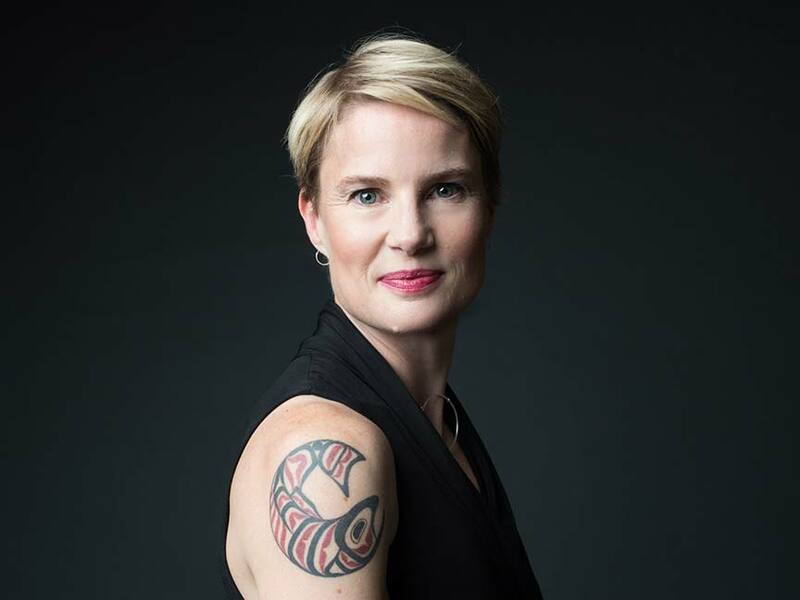 First of all, welcome to the NW, Carolyn! I have followed your blog for months now and thought it was so cool when you said you were moving this way. Hope you are adjusting well. 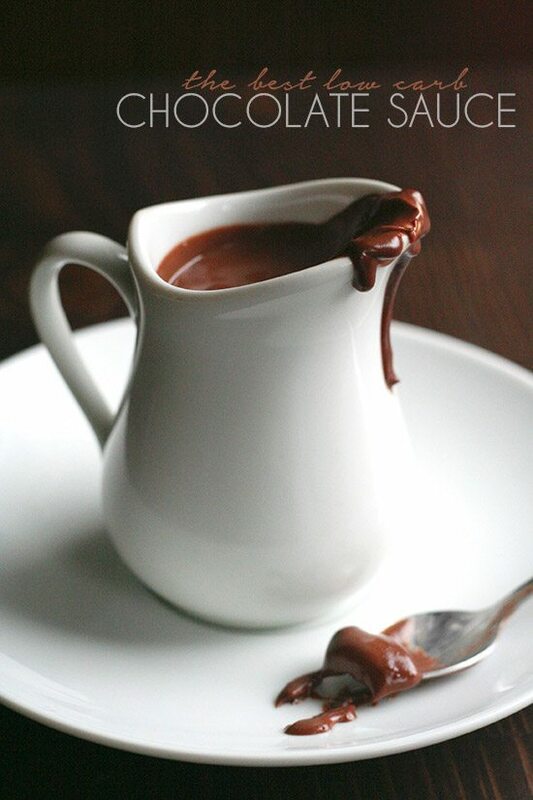 This chocolate sauce looks AHmazing! Anything chocolate and I’m all over it. I will make some soon when I have something yummy to pour it on! 1. How does that ice cream compare to Breyer’s Carb whatever….in taste? How about compared to Edy’s sugar free? I’v only ever had Breyer’s Carb Smart and I personally could taste the sucralose. I am just not a fan of that. I think half and half might make it to thin, but you could try it and maybe add 3 ounces chopped chocolate to help thicken. I know, it could be rather dangerous! I can’t wait to make this sauce. Your Low carb caramel sauce was a hit at my house this year over the holidays and it freezes well. 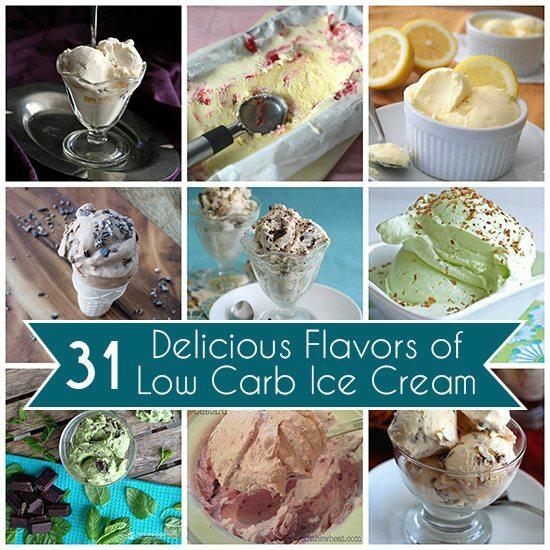 I need a good low carb recipe for ice cream. I have tired several and my husband doesn’t mind the ice cream the first time (if it doesn’t have the cooling effect) but after it completely freezes it is normally so hard and icy when we want another scoop, another day. Any thoughts? I haven’t made any now for awhile becuase I feel like it just waste ingredients i.e. MONEY in the end for a product he won’t eat. The pictures always look amazing but they never seem to turn out quite the same as the pictures look. 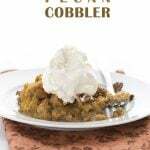 Heidi – this is my recipe and it stays scoopable for several days in my freezer. If it gets too hard 30 seconds on medium in the microwave will soften it just a bit. Hope this helps. 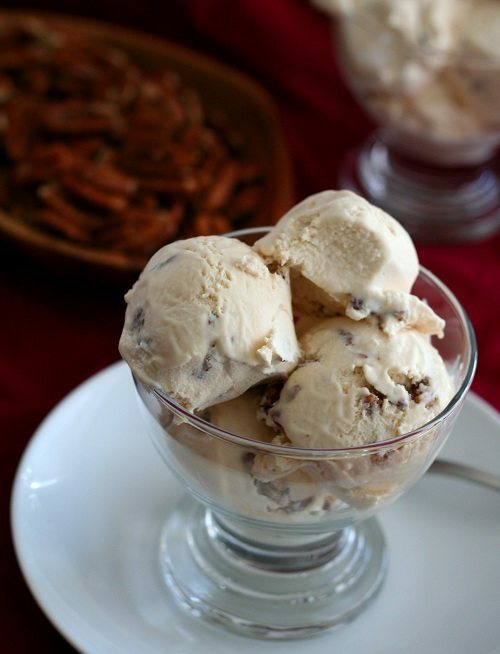 Soft Scoop Vanilla Ice Cream. Whisk all together and bring to preboil in saucepan stirring all the time. As soon as it begins to thicken, remove from heat and plunge saucepan into 2″ cold water in sink. Stir as mix cools to prevent skinning. Whisk in 1/8 tsp Xanthan gum, 2 tbs Vodka and 1 tbs Glycerin. Has anyone used this to make chocolate milk? Along that same line, has anyone made a lower carb “milk” by mixing half and half with some water? I saw this suggested on a FB page. I used the fudge sauce to make hot chocolate, added it to non-dairy milk and probably a splash of heavy cream and some strong instant coffee. I don’t know how much I used–started small and stopped when the taste was right. It didn’t take much, and it was sooo good. I don’t buy half & half, but I’ve combined heavy cream and water before–you might experiment with that. Btw, the sauce is terrific with peanut butter swirled in for a super-quick Reese’s cup!! YES! But you do have to reheat it gently. Reheat it in a double boiler? Could it be reheated in the microwave? It does not do that well in the microwave, it seizes easily. If you choose to do that, do it VERY gently, 10 seconds at a time, stirring in between. Carolyn could use use raw cacao powder or a mix of both. I have the unsweetened chocolate and also some totally awesome cacao powder fro tru vibe. Thanks in advance. I am not sure about the cacao powder but I’d say it’s worth a try. I made this tonight with raw cacao powder and cacao butter (1:1)- it was SPECTACULAR! I melted the cacao butter, whisked in the sweetener and cacao, and then whisked in the cream. Heaven. 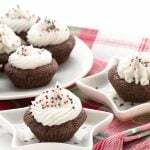 I froze the leftovers in muffin papers- I am hoping in the morning I will have milk chocolate cups! Best dark chocolate I have found is Lindt 90%. In Portland it is available at Fred’s, also Target, and most other markets. THIS IS SO GOOD! Seriously easy and unbelievably delicious! I have already had it on low carb ice cream, on strawberries, and with your cream cheese pancakes…yummm and thank you! I’ve made this with great success several times and enjoyed it YUM. This time however, the oil separated out and while it was still tasty, it was oily and goopy. Any ideas on what went wrong? Did you use the same brand of chocolate? Lower quality chocolate can do that. Also too much heat can cause that issue as well. This is super easy and yummy. Today I made it a second time and decided to try it with coconut cream instead of whipping cream as I’m lactose intolerant. It turned out just as good. I poured it over your slow cooker chocolate cake for a lava cake taste! Enjoyed every healthy bite! We just tried your Perfect Low Carb Vanilla Ice Cream today and couldn’t believe how perfect the texture was! It was so smooth and creamy, even using regular Swerve! I had one of my senior moments and didn’t realize it said “powdered” Swerve until I was already well under way with the recipe. I put the ice cream in the freezer for about 2-3 hours before serving it, and it was perfectly scoopable with a nice, creamy texture! When making the Low Carb Sweetened Condensed Milk for this ice cream, you say to “simmer gently” for 1 1/2 hours to reduce mixture by half. I’m not sure if my heat was too low, but my mixture was only reduced by about 1/3 after close to 2 hours. I didn’t think the mixture should bubble, so I kept it below a boil the entire time. I went ahead and added that amount to the rest of the ice cream mixture, so it did make a really full batch that was right up to and slightly over the sides of the ice cream maker. I had planned to make your Hot Fudge Sauce today to go with it, but noticed that it also calls for the powdered Swerve. I didn’t want to push my luck, so will wait a few days to try it as I have some powdered Swerve ordered and it should be here any day. I was just wondering if you think this Hot Fudge Sauce could be used to turn your Perfect Vanilla Ice Cream into Fudge Ripple Ice Cream? 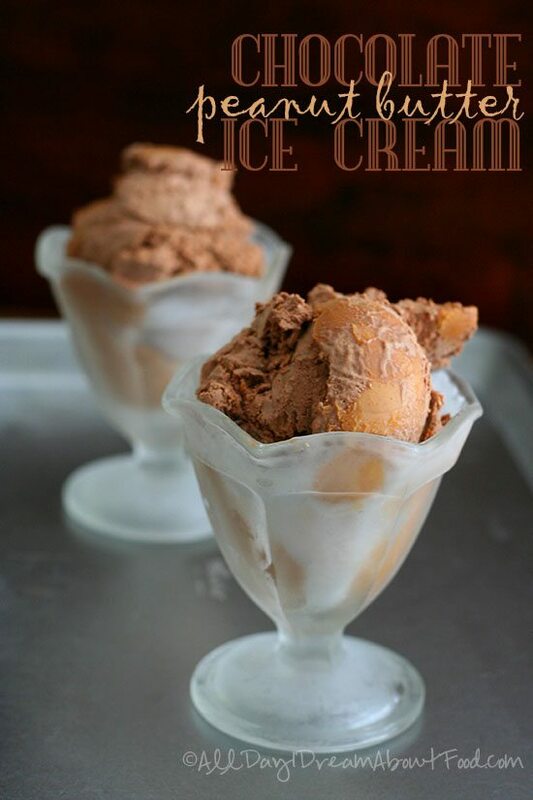 I haven’t seen any low carb ice cream recipes for Fudge Ripple, and that was always one of my favorites. Thank you so much for all your wonderful recipes and for sharing them with us! I think the fudge sauce would be perfect for a Fudge Ripple! You can probably powder your own erithritol in the VitaMix. I did that with xylitol. Similar product, so should work. Soooo I just had two bowls of ice cream….. :-/ dangerously delish indeed!! I’ve been doing low carb for 4 years now, and I crave chocolate at times. 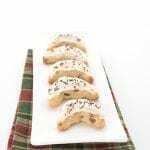 Made this recipe and it’s wonderful! I found that if I add just a little more chocolate, it gets thicker, almost like fudge when chilled. I keep a batch in the fridge and when the craving hits, I just eat a spoonful! So satisfying, I don’t need the ice cream! Thanks! Is there s secret to thickening this sauce? I did a half recipe: 1/2 cup heavy whipping cream, 1/6 cup swerve, 1.25 oz 100%baking chocolate. Brought the swerve and cream to a simmer, took it off the heat, added the chocolate for 5 minutes, whisked in the 1/4 tsp vanilla. What I have is a (cooled) thick hot chocolate the texture of the cream. Definitely not fudge sauce. What is in this recipe to make it thicker than cream? Is the swerve supposed to caramelize? Thanks. No secret…usually when you add the chocolate and then it begins to cool, it gets very thick. Still pourable, but thick. I make this very often and mine is always much thicker than cream. If yours is too thin, I suppose you could add some cocoa powder. Granular erythritol will work alright but you may get some recrystallization. This lasts a week or two in the fridge, as long as your cream is fresh when you make it. Your Hot Fudge Sauce recipe is excellent! I made ½ the recipe and used it as topping on 4 different deserts. My favorite was unsweetened strawberries and low carb vanilla ice cream. 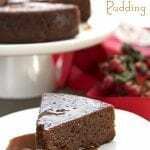 The richness of the chocolate sauce made it extraordinary and so satisfying. It is amazing one layer makes a dessert so special. Your recipe titled Best Low Carb Hot Fudge Sauce is truly the best. I made it today for the first time. It is wonderful, exactly like the ones I remember from my pre-diabetic days. The only change I made was to use THM Gentle Sweet. Thank you! I’m looking forward to trying the ice cream recipes next! I agree with everyone. 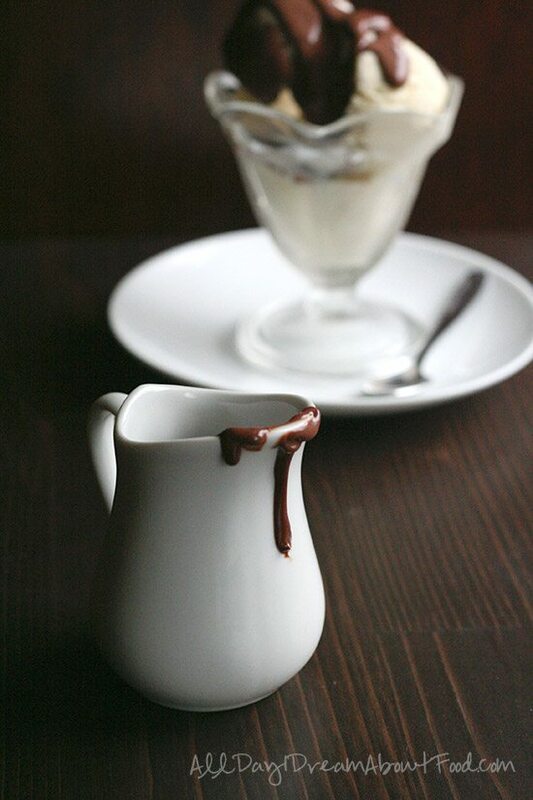 The best choc sauce, EVER!!! I always find both eryhtritol and stevia on it’s own has some form of aftertaste. But in combination, it’s magical. Thanks again for yet another wonderful LCHF recipe? OH my goodness — I made this tonight and served it on top of the Halo Top vanilla bean ice cream! It is so luscious – I could just eat the chocolate sauce with a spoon!!! So rich and chocolate-y …… I just love this sauce so much AND dang, it was so easy to prepare!! Thanks again for another FAB recipe!! another winner from your amazing kitchen. kids and us adults eat mostly Primal and this over some banana ice-cream was the bomb!!!! I think your recipes make everyone love me just a little bit more ha ha ha. This is soooo delicious. It does not last long in my fridge. I really do chow it with a spoon. (A spoonful of half peanut butter and half fudge? Sweet heaven.) Thank you so much! 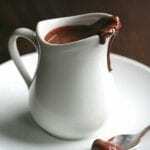 This is basically how one would make a traditional chocolate sauce, it’s nice to know that the 90% cocoa bars I have actually don’t taste bitter at all when making this! This stores nicely and tastes great by the spoonful straight out of the fridge. The texture when cold is almost like fudge, it’s amazing. Gently reheated and it’s a great chocolate pouring sauce again. This is one blog I follow regularly and I like to comment when I make stuff! This recipe is great–tasty, simple, and basically no-fail. I have to be dairy free. What could I sub for the whipping cream? This just looks so delicious! Full fat coconut milk works well but it’s a bit thinner in the end. 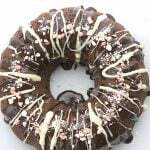 I was searching for a chocolate recipe, that was low carb and sugar free, to use in a fat bomb recipe. A lot of fat bombs have wayyy too much coconut oil and I wanted to find something different! This recipe worked so well! I used heavy whipping cream, 100% cocoa (Ghirardelli brand), and Splenda instead of Swerve. I followed all directions in your recipe, once it was finished I poured half into my silicone molds then added unsweetened coconut (just enough to cover chocolate) then put a whole salted, roasted almond on top and topped them off with remaining chocolate mixture. Froze for an hour and they were done! The carbs are higher because of the coconut and almond but not by much!! Also, I don’t know if these would really be considered fat bombs, more of a sugar free, low carb treat! 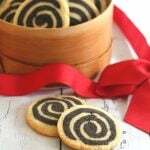 So super delicious, you must try it! 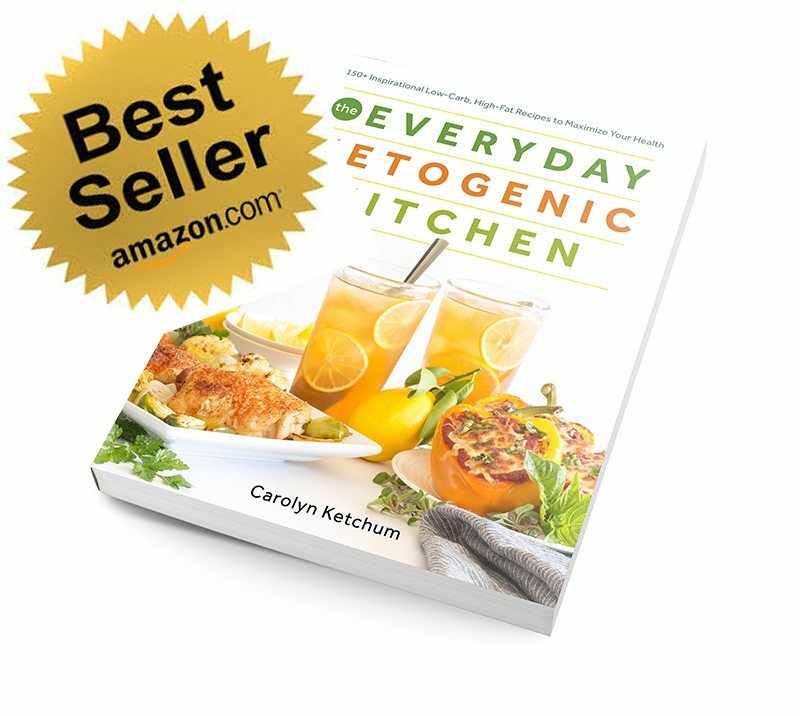 Thank you, Carolyn, for another great recipe! The sauce thickened up nicely. I made a double batch because I was serving eight people. Guess what you do when your entire recipe won’t fit into a container! Dip strawberries! Yum! 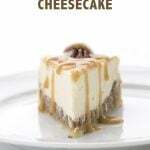 I posted over on the caramel recipe and certainly had to come over here as well. I am insulin resistant and eat a low to moderated carb diet. I have to be very careful of my sugar intake and am about to enter into the world of homemade sugar free ice cream. I made this and your caramel sauce and both are just divine! I am usually pretty sensitive to the “cooling sensation” of Swerve but in these recipes I don’t really detect it. I followed the recipes to the letter with the ingredients provided, no substitutions. Next I will be trying out your ice creams to go with these delicious sauces! Thanks for working so hard on all of your recipes. I certainly appreciate it! Thank you! I am so glad you like them! Thanks for your feedback. Hello! This looks great! A couple of questions…would this work without the sweetener? I don’t like to use any low /no calorie sweetener and like the flavor of just the chocolate. I would really like to make and refrigerate to put a bit in my coffee – do you think it would refrigerate well? Thanks so much! I just used this to make chocolate covered strawberries! Amazing! Hasn’t hardened up quite like normal chocolate covered strawberries-its is still a little fudgy so far. But it is still awesome! Thank you so much! Thank you for all your recipes. Really helps a low carb girl out! Oh my goodness, I have now me this over and over. I keep the leftovers in the refrigerator. Swirl this in some low carb ice cream (no matter the flavor) it is to die for! Thank you!!!!! Just made again for the ??? ?th time. Chocolate goodness for sure! Hi I would love to make this choc sauce, it sounds amazing. I’m just a little confused, u write sugar free, and all the whipped topping I see has sugar. Which one do u use that is sugar free? It’s not whipped topping. It’s heavy whipping cream – the liquid cream itself which is just really thick cream. Can this be kept in the refrigerator? And if so, how long will it keep? It can be but it will harden and be like fudge. RE-warm it gently. It can keep for 5 days or so. Good news — I refrigerated it for a while and it thickened and looks just like the picture. And tastes…..amazing! I put it on some of my homemade almost-sugar free peppermint ice cream. I love how it thickens a little more when it’s on the ice cream. The best. Is it whipping cream or heavy whipping cream? Was neutered and the whipping cream was like choc milk and I did use 100% choc. I always use heavy whipping cream but they are so close in fat content, it shouldn’t matter. 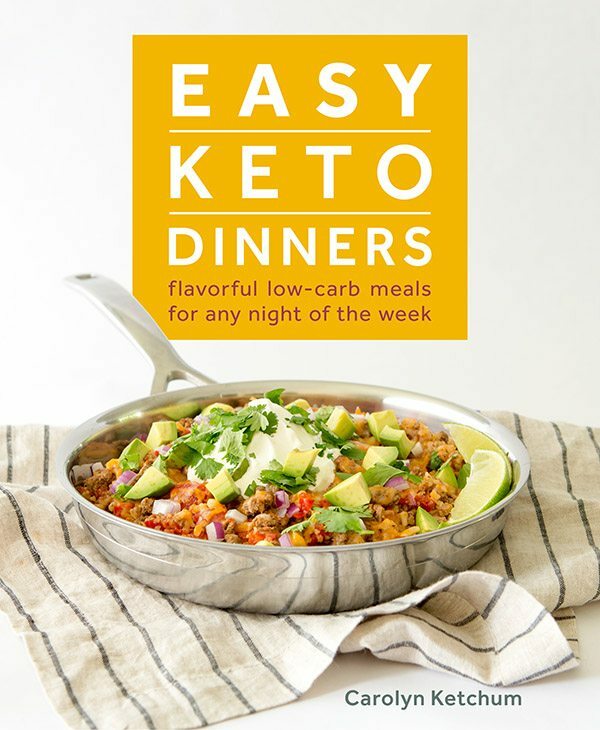 I have to say I don’t normally comment on a recipe; however, this has to be one of my most favorite low carb recipes I have made. To all of those who have problems with consistency my advice would be to whisk, whisk and keep whisking. And follow ingredients exactly! By the way, I fooled my diabetic husband with this topping on carb smart vanilla ice cream and he thought he was having a real hot fudge sundae! I had to show him the container I put it in in the fridge, then he wanted more! 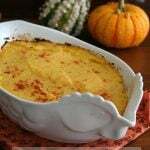 I just scoop out a spoonful or two and microwave it about 6 seconds and it has a very nice topping consistency. Thank you for such a wonderful treat! I am so happy to hear that. Glad it is helping your husband. Mine is very thick and dark just like hot fudge- however, its not as sweet as i like, almost a tiny bit bitter. I used the correct ingredients but the only 100% unsweetend chocolate I found was Bakers- the bar kind. I am guessing that is the culprit? I will try to find Lindt 90% and try again or just add more swerve to it..
Well, you may simply like it sweeter but if it’s thick then that is indeed the Baker’s chocolate. It’s not as high quality as Lindt or Ghirardelli. Carolyn, would it be possible to use Lilly’s chocolate to make this? I have your brownie cheesecake in the oven but no unsweetened chocolate. Yes, but it doesn’t thicken up as much as unsweetened so you may want a bit of cocoa powder in there too. Does this thicken when cooled? 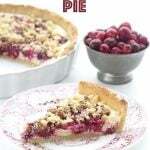 Im looking for something to spread on top of a pie. Yes, it certainly does. 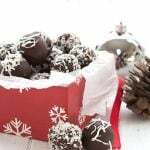 But search my blog for chocolate ganache and you will find an even better recipe. This is so delicious! I substituted cocoa powder (9 Tbs) and it was thick and rich but I forgot to whisk the cocoa powder with the Swerve so it was a bit challenging to work it in but it turned out great. I also substituted granular Swerve for the powdered. Still perfect! It thickened a lot as it waited in the pan for dessert. I warned it up a few minutes on the stovetop. Thank you for having such great reliable recipes. I’ve found out the hard way that not all published recipes turn out right. But yours are dependably tasty. Hi, a bit confused on the net carb count. 3.7 Carbs, 1.47 Fibre… Shouldn’t that be 2.23 net carbs not 1.23 net carbs? or am I missing something? Yes, it’s very possible that I did the calculations incorrectly. Thanks, just didn’t want to miscalculate. It looks amazing though and can’t wait to try it. Thank you for all your wonderful recipes.